Refugees who have found safety in the UK want to rebuild their lives and be part of their new communities. Sadly, they have a huge obstacle to restarting their lives, because there aren’t enough English classes. Join our campaign to Let Refugees Learn, and ensure that refugees get timely access to English classes and the support they need to attend them. "When you start to speak English fluently it means you can get a good job and make your dreams come true." 73% of people agree that refugees speaking English is beneficial for Britain. 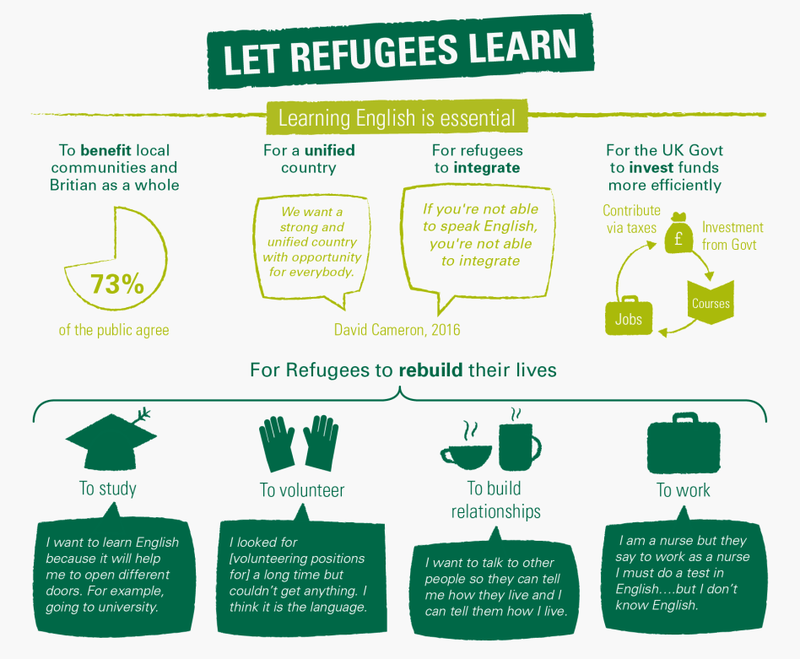 Three-quarters of people in the UK believe that learning English is beneficial for refugees, and almost as many (73%) think that it is also beneficial for Britain and local communities for refugees to be able to learn English. But our latest research shows that refugees can wait up to three years to access English classes. Politicians across the spectrum also believe more should be done to help refugees learn English. Two influential reports recently found that English was vital for effective integration. With such widespread support, it’s time for the Government to act. Nour, 24, is studying computer programming at Birmingham City University. But his dreams were almost derailed when civil war tore through his home town of Homs in Syria just as he was due to start his studies at the local university. “We lost everything in my country, our home and some of my friends,” Nour says. 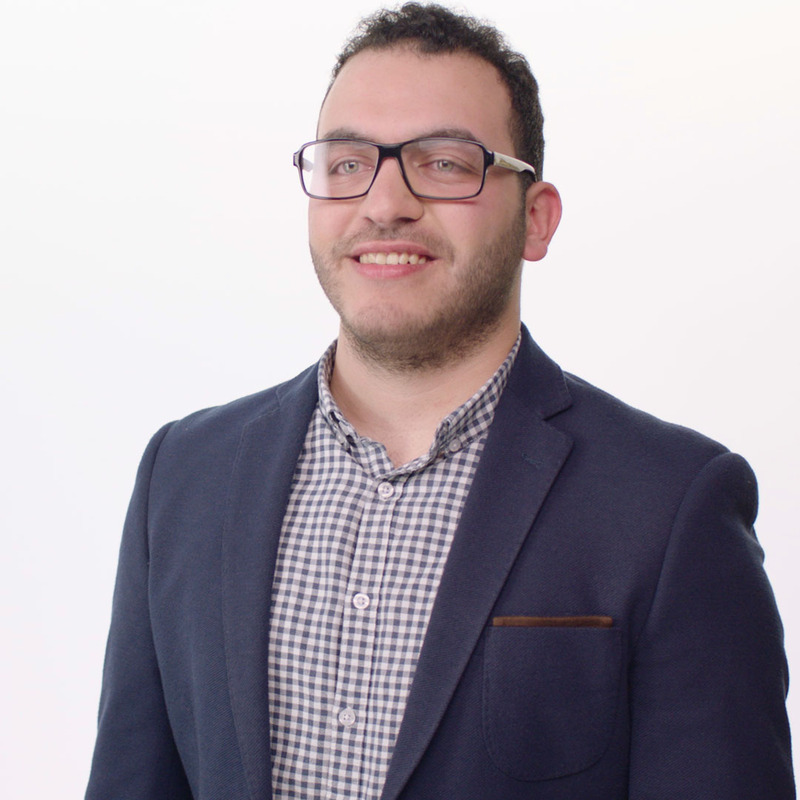 His family were forced to flee to Jordan where Nour worked endless odd jobs to pay for a course so he could continue his studies. He walked six miles a day to and from the college to save money on transport. The family were delighted when they were told they would be coming to Britain as part of the Government’s commitment to resettle 20,000 Syrian refugees by 2020. When he arrived in Birmingham, Nour was determined to get into university and get back to his studies. But he needed to pass an advanced English exam to get into university in the UK. In September 2016, the Home Office announced an extra £10m investment over five years to provide English classes for Syrian refugees arriving under the Government’s Vulnerable Persons Resettlement Scheme. We welcomed this – but it doesn’t go far enough. All refugees, no matter where they came from or how they got here, should have the help they need to learn English. 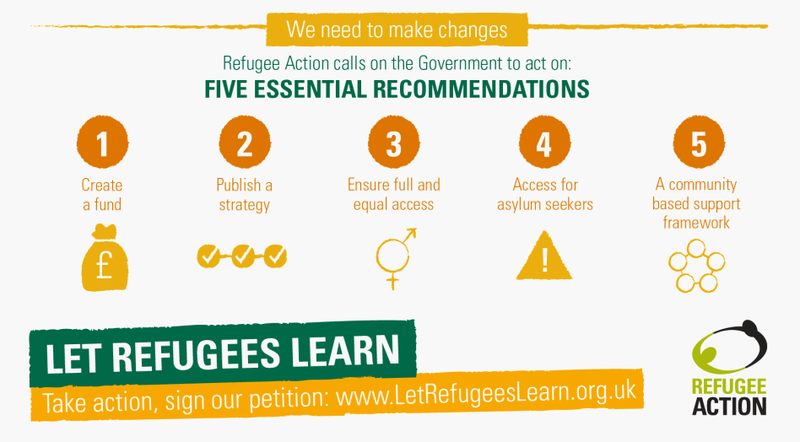 You can find out more about this campaign by reading the full Let Refugees Learn report and our latest research on the barriers refugees face in learning English for refugees. You’ll also find some feature blogs by our campaign partners on our blog. There are lots of ways to campaign. If you’d like to get in touch with your local MP about this issue, click on the button below to download our Activism Pack. It’s full of tips and information on how to campaign in your local area.